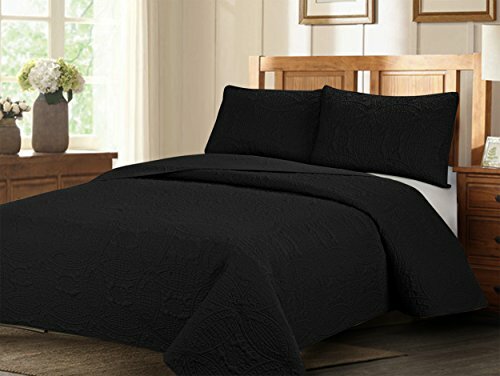 New (12) from $54.74 & FREE shipping. 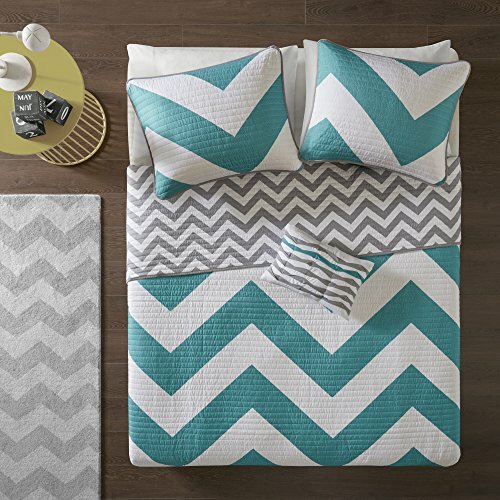 Color:Blue | Size:Full/Queen Update the look and feel of your bedroom with the Mi Zone Libra Coverlet Set. 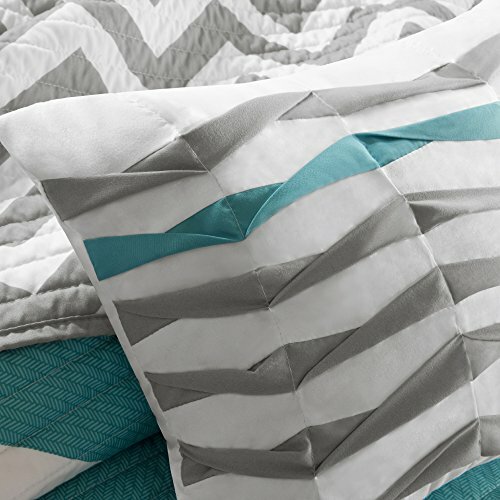 An oversized chevron pattern is displayed in vibrant white and blue hues, while a smaller scaled grey and white chevron adorns the reverse. 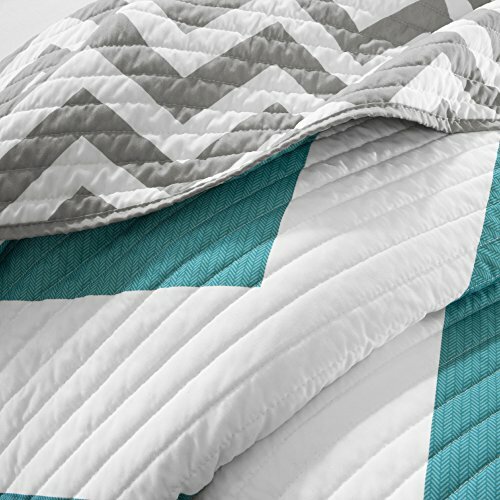 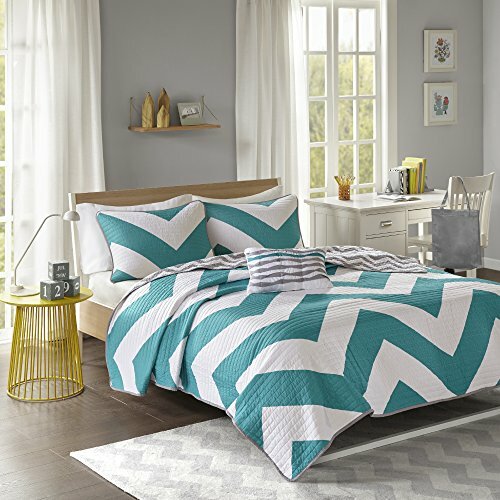 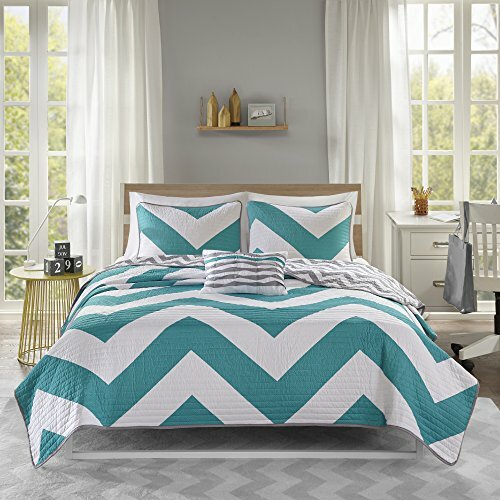 Both the coverlet and sham(s) are fully reversible, giving you the option to mix & match the different chevron prints and customize your bedroom. 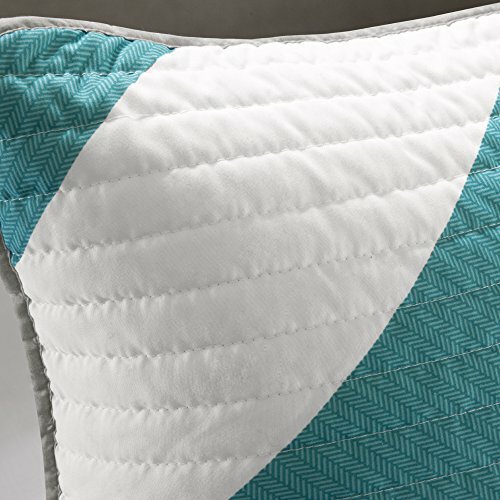 An oblong pillow with fabric manipulated details adds charm and dimension to bedding set. 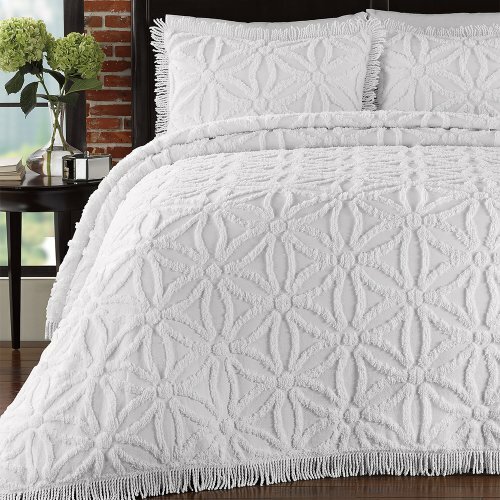 Made from ultra-soft microfiber, this coverlet set is machine washable.